Welcome to Advantage Orlando Realty, the Disney World Resort Area Vacation Rental Real Estate Specialist. 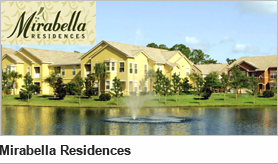 A one stop shop to your Orlando vacation homes and condo rentals needs. Whether this is your first time buying or selling a vacation rental in the Disney World Resort Area ©, or you are an experienced investor, our team of dedicated professionals combined with 21 years of hometown expertise will see you every step along the way with no obligations. Explore an abundant vacation rental opportunities in the Disney World Resort Area ©. A showcase of a large selection of vacation pool homes, town homes and condo resorts in the four corners resort areas of Davenport, Clermont, Kissimmee, and Orlando. From new resort developments to short sales to bargain sales and foreclosures, vacation rental investment opportunities are for the taking and Advantage Orlando Realty professionals are here to help you make that dream come true..